Ancient Egypt is a fascinating ancient civilization. There are numerous interesting aspects about this civilization you should know, Ancient Egyptians being the ones who invented clocks, toothpaste and even the 365-day calendar. And these are just some of the things worth to be mentioned. Below you can find a list of some of the most fascinating facts about Ancient Egypt. Both Egyptian men and women wore makeup. They believed that makeup had healing powers. Having under consideration the high temperatures in the area, makeup has initially been worn to offer protection from the sun. Egyptians were among the first people to invent writing and paper. When a person was ill, physical, mental and spiritual treatment was required. Herbal and magic medicine was commonly used by Ancient Egyptians. Egyptians invented the 365 days calendar, as well as the 24 hour division of the day. They also invented the art of painting. Egyptians are the ones who invented cement. Egyptian workers organized the first strike in the world. The first glass and faience objects were invented in Ancient Egypt. Egyptian children wore no clothing at all, at least until their teens. Due to the hot temperatures men wore skirts and women dresses. Rich Egyptians wore wigs. The other classes wore their hair long or in pigtails. Ancient Egyptians believed that the earth was flat and round. 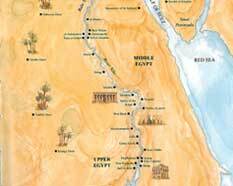 According to them, the Nile flowed through the centre of the earth. Women in Ancient Egypt enjoyed legal and economical rights, just as men. When a body was mummified, the brain was removed. Intestines were also removed from the body. Ancient Egypt is the first monotheistic religious state. Pharaohs’ tombs included everything that might be needed in the afterlife. Water, food, clothing and even games were stocked into tombs. In Ancient Egypt, infections were commonly treated with mouldy bread. Ancient Egyptians knew very well how to cure meat and preserve food. The shape of the pyramids created by Egyptians are believed to be inspired by the spreading rays of the sun. 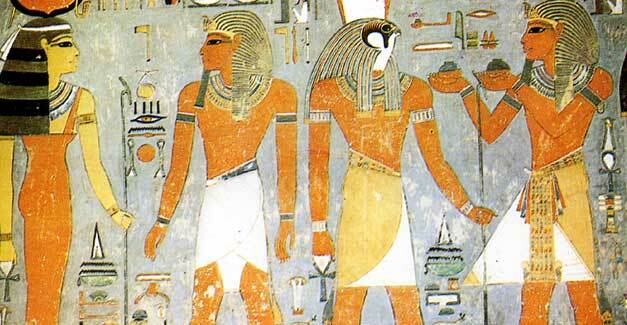 Ancient Egyptian men usually lived up to 35, while women up to 30. Infant mortality was really high here. Ancient Egyptians loved beer. Even though the drink was slightly different from the way we know it today, it was part of the everyday diet of Ancient Egyptians.